Wow. Watching the pens was ugly. There isn’t a area that couldn’t be pointed at for blame. Interestingly one of the few players who did his job decent was gudbranson. Pengy, I know where you’re coming from in defense of the player who is arguably the best to ever suit up in the history of the game (and I include Gretzky in that sentiment – vastly different era when he played). but when you zero in on things like “almost had 4 goals …. post ; knob of stick; fantastic save; sprawling D man in crease …” that can apply to a LOT of players throughout the league in any one game – seasonal or playoffs. The bottom line is, he did not score a goal and had but one assist in 4 games. Dead on George. Playing well without results isn’t good enough. The number one reason the pens lost the series has to be lack of production from the stars. It’s not the only reason. But the biggest. Pengy your obsession with jack is a bit odd. He played bad sure but a number 4 d man didn’t make or break any of the games on his own. I don’t want to take anything from the Isles…. well coached ; played hungry played hard. As a Pens fan, I was afraid of only one first round match-up possibility …. Isles …. I expected either of the two Isles goalies to be brick walls …. Lehner …. yep. @ Pengy” Ya, the kind of series where one goes” Hey just WTF” from a Penguins point of view. I imagine a LOT of – if not all – people “loaded up with Bolts” in pools everywhere, not to mention certain Pens. So that doesn’t mean you’re out of the dough – depends on what others you picked. I can’t imagine many loaded up the BlueJackets and Islanders in light of who each was playing. Our draft was heavily skewed Bolts …. all roster players on Bolts were eventually selected; Winnipeg, Cgy and Oens were next each with 17 players totally selected. Tampa will also go down in history as a glaring example that teams built for success in long seasonal play, riddled with players who will rack up goals and assists in games where the opposition enter far too many games willing to mail in the 2 points due to seasonal funks, back-to-back, 3 games in 4 nights scenarios, simply cannot handle the sudden transition to intense checking. San Jose is another. Pittsburgh just showed their age in far too many key spots. Don’t forget how Tampa Bay won 62 games this year – in the games against the Leafs, for example, they checked the hell out of them. Someone in the Rumours section said TB was soft – that is BS pure and simple. They had the best team in the league and they were relentless. Columbus beat them fair and square but don’t start with the Tampa Bay is soft stuff. @gorge o I see yzerman taking the job in Detroit if Holland leaves.he is not going to leave his family agin to go west. Georģe, Joey, Tampa Bay won 62 games. You don’t fluke 62 wins. They were the best team in the NHL. In the games I saw against the Leafs, they checked the he’ll out of them. They were relentless. Everything is magnified in the playoffs. TB’s goaltending was second best, their best defence man was injured, their top scorer was suspended for a game, and they played a very good team that cèrtainly peaked at the right time. Full marks to Columbus but Tampa Bay still have a great team. They’ll be back. I didn’t post any predictions here, but I did have the Tampa-Columbus and Pittsburgh-NYI series as the most likely first round sweeps…though I had the wrong teams advancing! Great work by the Jackets and Isles. Exactly what these teams needed to get their fan bases excited for their teams. Does Columbus get any credit? Their decision to not be sellers at deadline with Bob and bread man seems to have paid off. Adding Duchene, who had a great series, and Dzingle. Can we now consider them as a favorite to win it all? Will be very interesting to see what happens with this team in off season if the do! 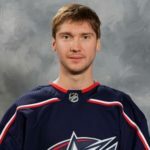 I’ve been a CBJ fan since it was announced. I can tell you the city has a massive hangover, this morning. I live 2 miles from NWA and it seemed I could hear the crowd, there, throughout the 3rd. That said, I’m cautiously optimistic about their chances. They’ve had difficulty with every potential opponent, this year. Of those 62 wins Tampa had 35 were against non-playoff teams. While that is understandable the fact that they went to OT 11 times against non-playoff teams and only lost 1 of those. So 62 wins sounds good but way too many OT’s for that team.